Our neighbours at Jollity Farm are now growing a few pigs each year, and they have a couple of dairy goats as well. As they have a large market garden, their pigs get lots of fresh veg, too. 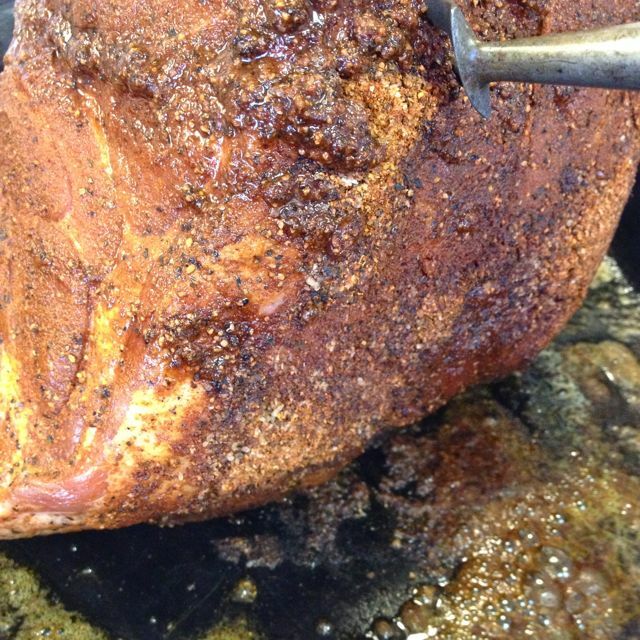 We’re looking forward to some more “real” pork! Note: start one day before serving. 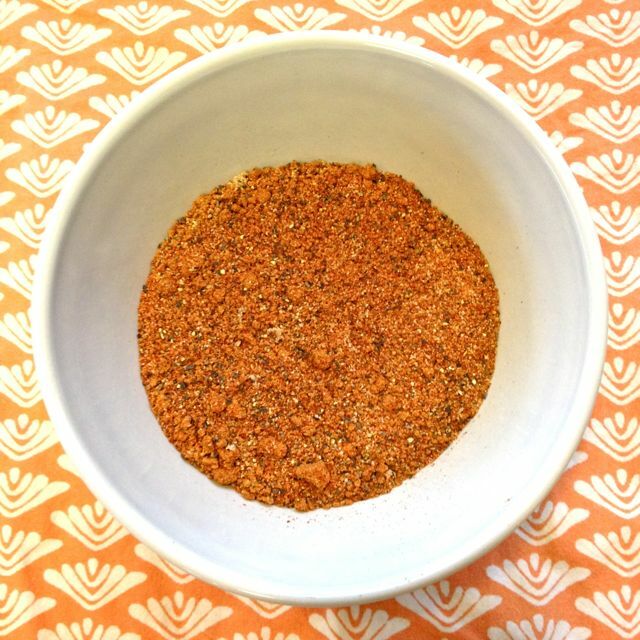 In a small bowl, mix the dry rub ingredients until well incorporated. 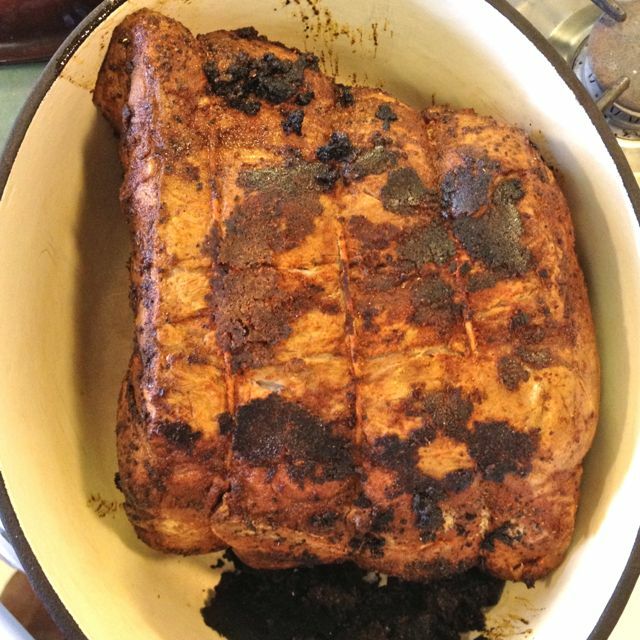 Trim the excess fat from the pork roast. 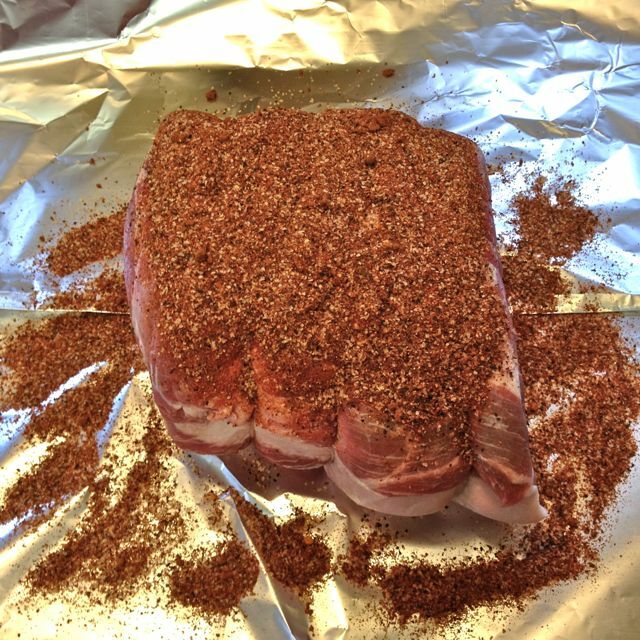 Lay a sheet of foil on the work surface. 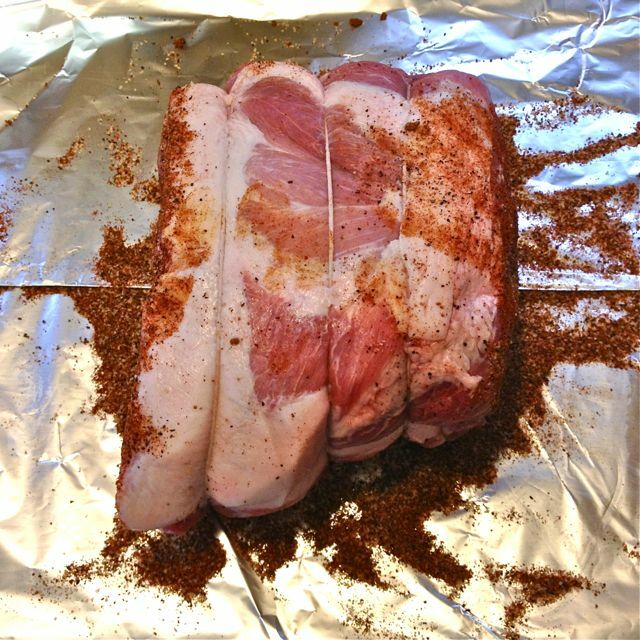 Place the pork roast on the center of the foil. 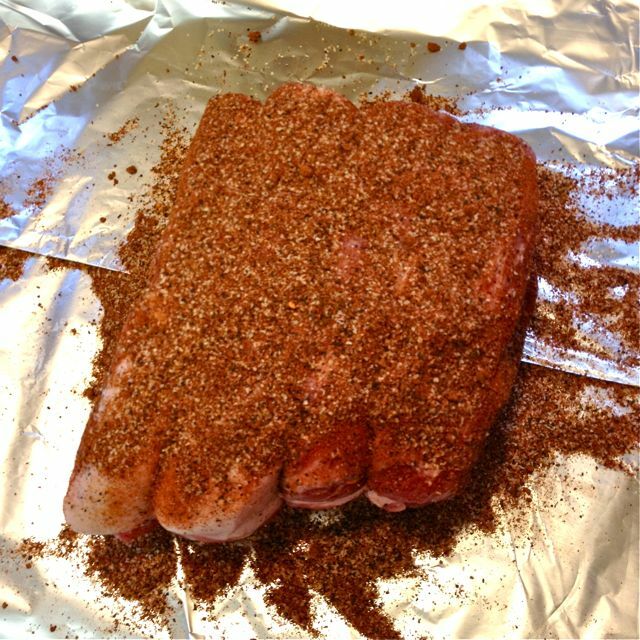 Using small handfuls of the dry rub, coat the roast all over, rubbing the mixture into the meat. Any extra that falls to the foil, can be left there. 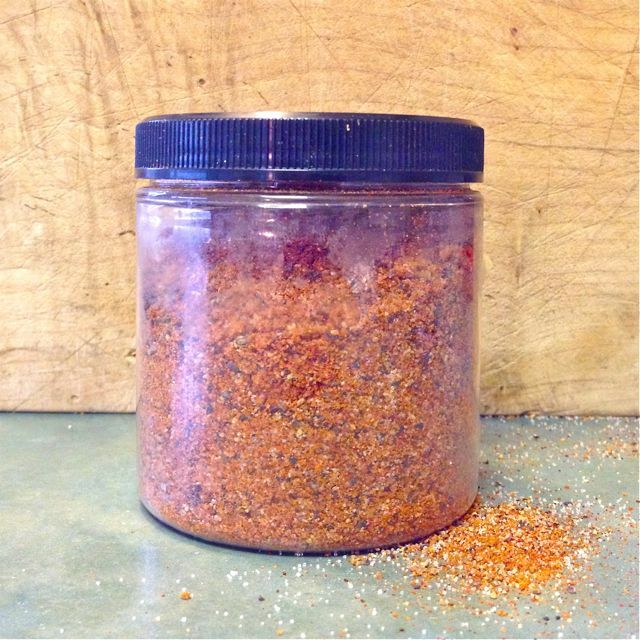 There will be some dry rub mixture left, store it in an airtight jar, away from heat & light for up to six months. 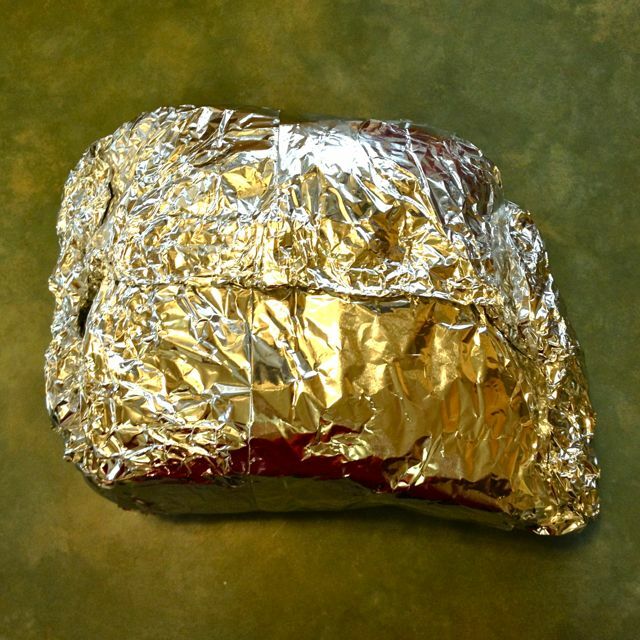 Wrap the foil closely around the roast, folding to seal it. 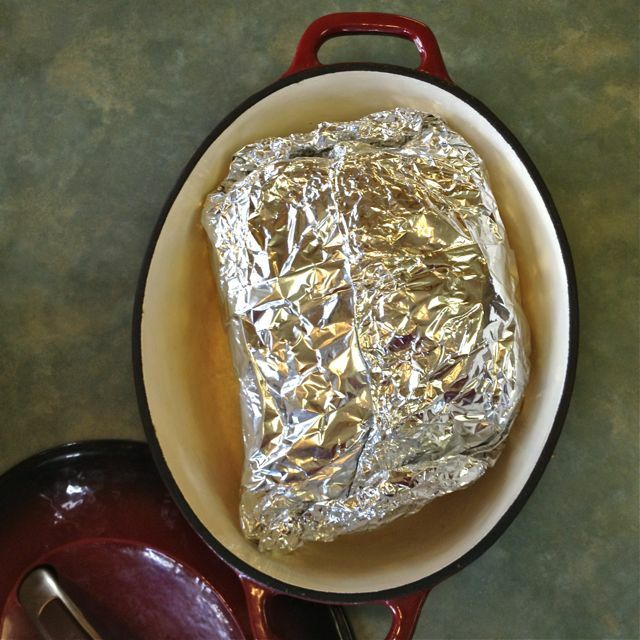 Place the foil-wrapped roast on a plate in the fridge until the next day. 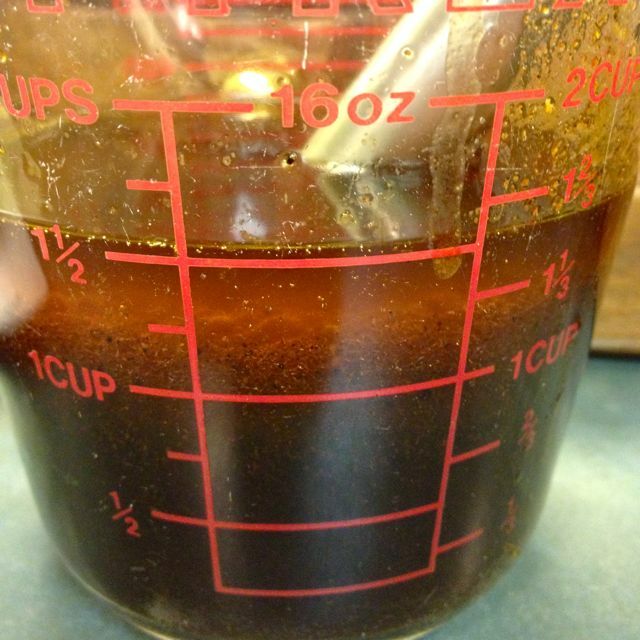 The next day, take the roast out of the fridge 7 hours before serving. Let it sit, still wrapped, for an hour or so, to take the chill off. Measure to be sure your roast will fit! 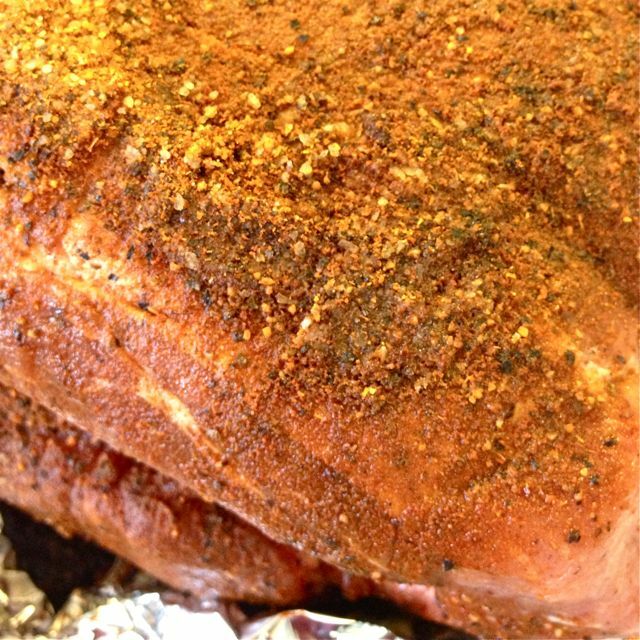 This is what your unwrapped seasoned pork will look like. Heat a large ovenproof skillet or Dutch oven over medium-high heat with enough bacon fat or canola oil to lightly cover the bottom. 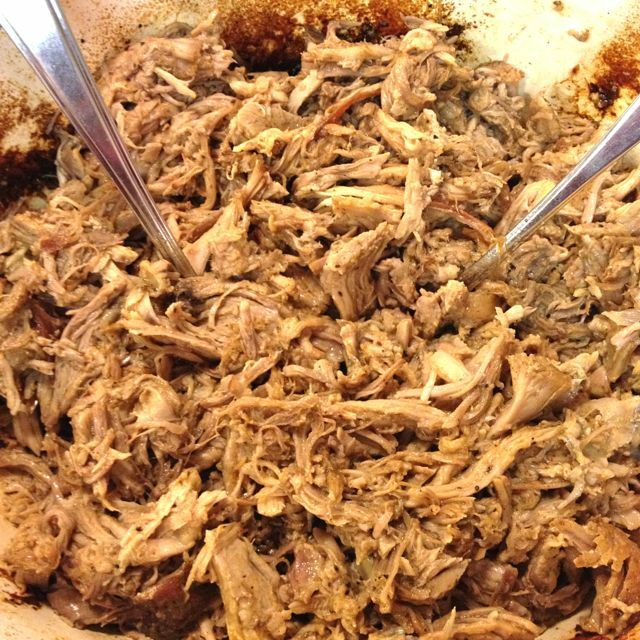 Using tongs and meat fork, lay the pork into the hot pan. 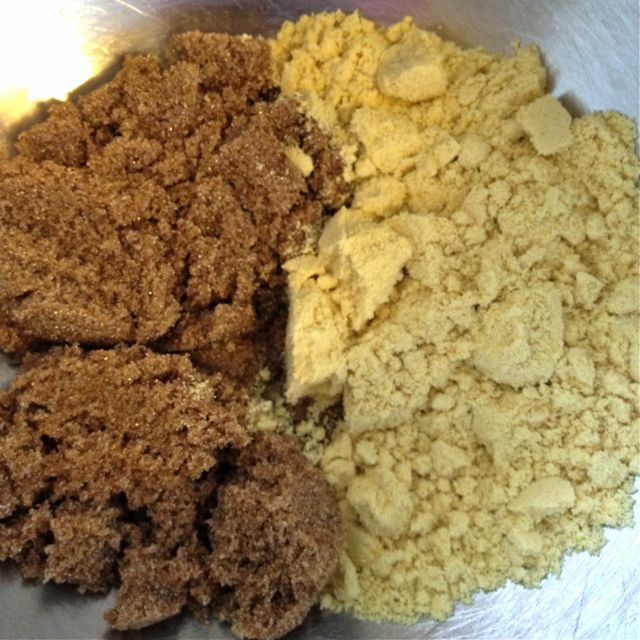 Sear all the sides, this takes at least 10 minutes so don’t rush it. 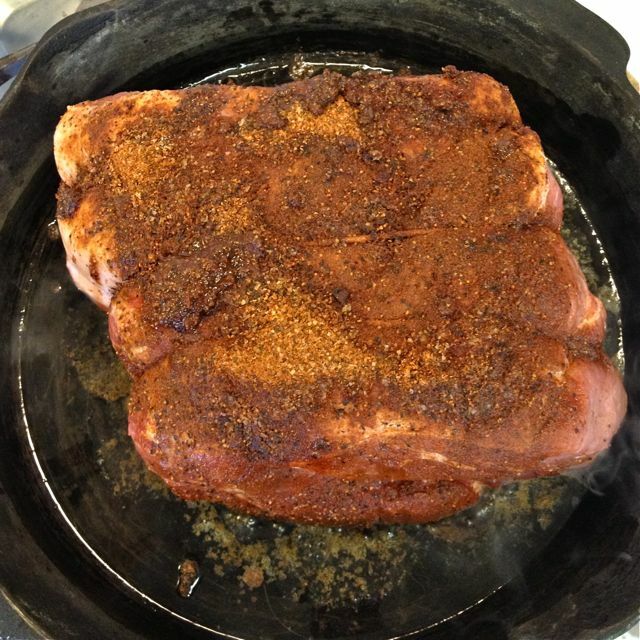 There will be some smoking from the hot spices. 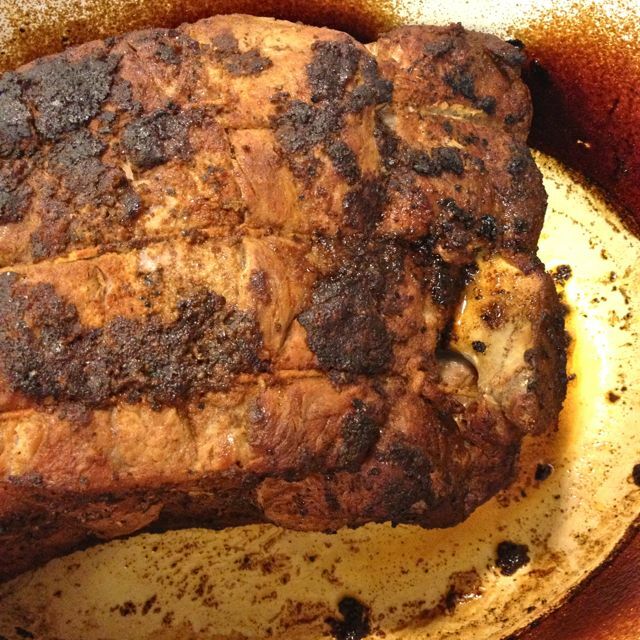 Once the whole roast is seared, remove it from the heat. Cover the whole of it with two layers of tin foil, crimped closely around the edge to hold in any moisture. 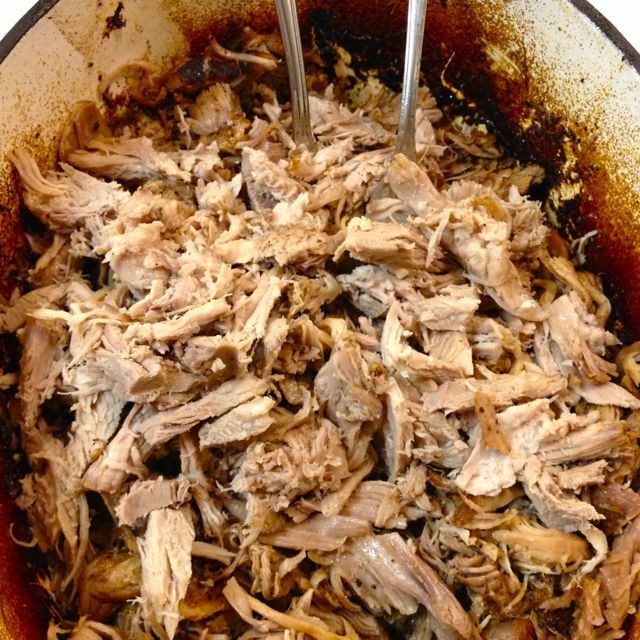 If using a Dutch oven, simply put the lid on. Place the covered roast into the preheated oven. Roast for at least 4 hours, before checking for doneness. 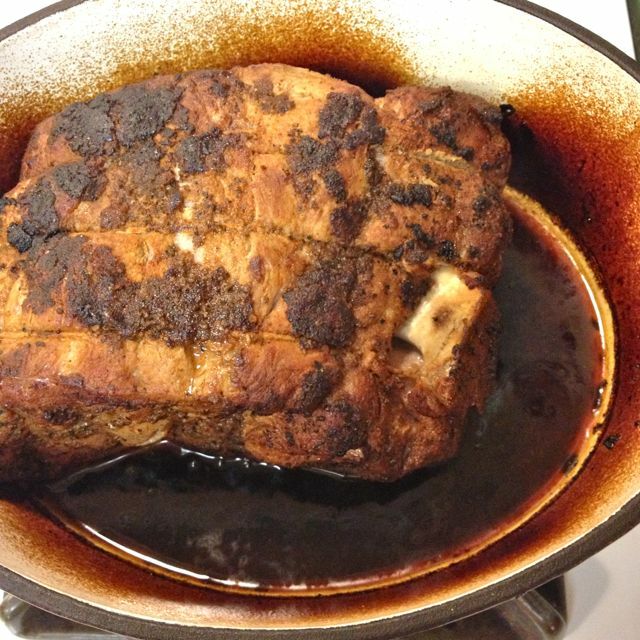 While the pork roasts, make the sauce. 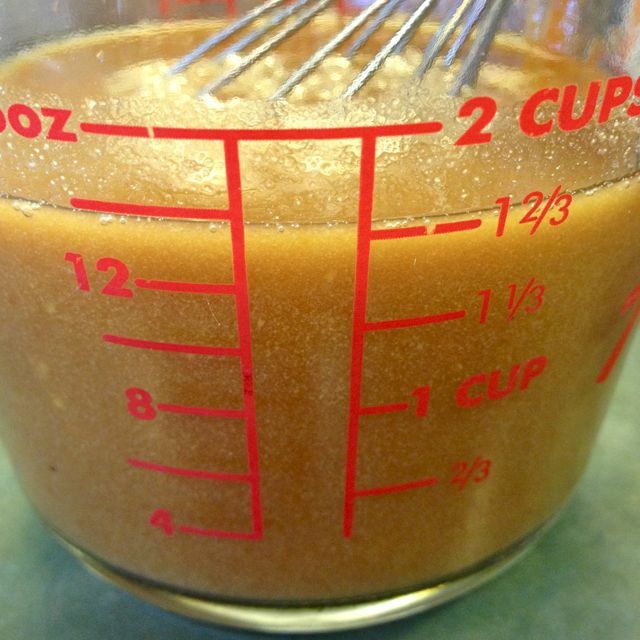 Simply mix the sauce ingredients in a bowl, and whisk until well incorporated. Leave at room temperature until use. 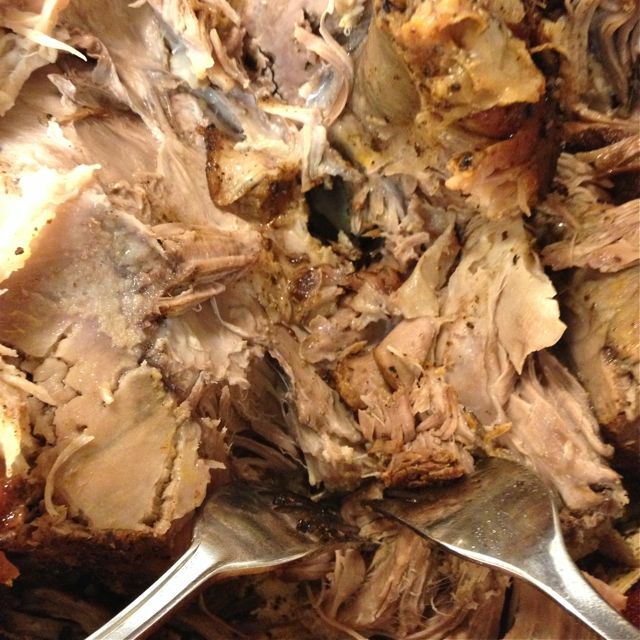 The roast will be done when you can easily pull apart the meat using two forks. 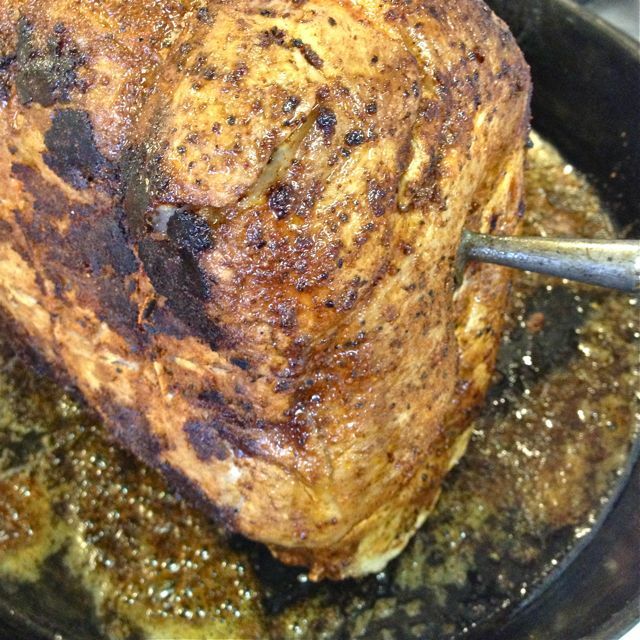 Once the roast is done, remove the foil and skim off any fat from the pan juices. Pull apart all the meat and stir in the pan juices. 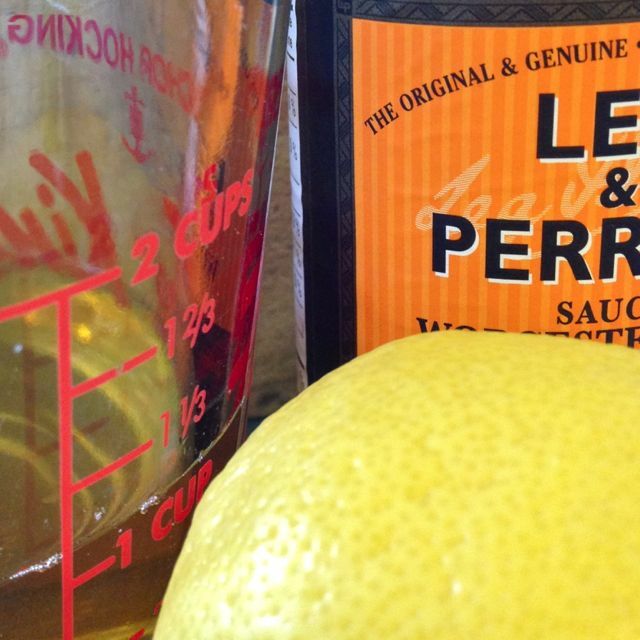 Pour in all of the sauce mixture and mix well. 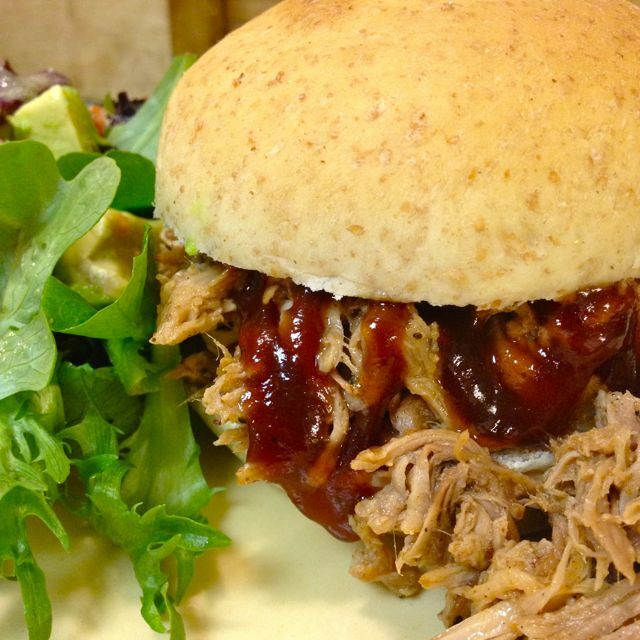 Serve with black beans & rice, plain rice or piled on a bun with coleslaw on the side. Freezes well and reheats well.